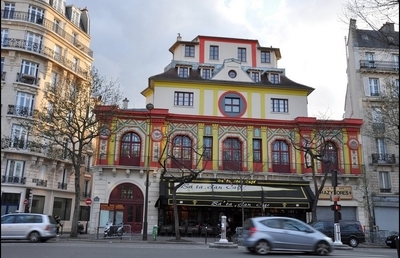 On Nov. 13, one year after Islamist terrorists killed 130 people and injured 368 others in a series of attacks across Paris, music legend Sting performed at the city's Bataclan theater. It was at this popular haunt that three gunmen opened fire during an Eagles of Death Metal concert that fateful night. Sting's appearance, which coincided with the theater's reopening, was meant not only to memorialize the 90 lives lost there, but to mark a new beginning, a return to life. Yet just six days later, in the hours between Nov. 19-20, police across France apprehended seven men said to be plotting yet another attack. The suspects, said to be French, Moroccan, and Afghan, may be connected to others arrested just prior to the European Cup games in June. Their capture brings to 418 the number of terror-related arrests made so far this year, 43 of them in November alone. France has suffered a disproportionate and disturbing number of terror attacks in the past two years, from the Charlie Hebdo and Hyper Cacher kosher supermarket massacres in January 2015, to the November Paris attacks and the 87 killed while enjoying Bastille Day festivities in Nice on July 14. There also have been smaller attacks, including when militants in Normandy forced 85-year-old priest Jacques Hamel to kneel before slitting his throat in front of his parishioners in July. But with over 400 would-be terrorists off the streets, is France at least safer than it was a year ago? In many ways, yes. It would have to be. Along with those arrests, French authorities have seized 600 firearms and closed down dozens of illegal Muslim prayer halls, Europe1 reported. Soldiers patrol Paris' streets and transportation centers, and an ongoing state of emergency has allowed the government to increase its levels of surveillance. But few experts feel that this is really ameliorating the threat. After all, those expanded surveillance regulations were in effect when Mohamed Lahouaiej-Bouhel plowed his truck through the crowds along the Nice Promenade. The fact is, the number of arrests is dwarfed by the numbers on the other side of the fight. Somewhere between 900 and 1,500 French citizens are believed to have joined ISIS, according to International Centre for Counterterrorism reports. In September, Prime Minister Manuel Valls noted that, while plots are being foiled "every day," 15,000 French Muslim youth are still radicalizing. Consequently, France's national police spokesman Christophe Crépin told Time, "We have the means now, but it is not sure that [there] won't be further attacks. There is a savagery that is very, very strong now." In fact, many European counter-terrorism experts expect that savagery to worsen as growing numbers of European Muslims now living in the so-called "Islamic State" start making their way back home. Many are disillusioned by what they found there. But their hatred of the West is as deep as it was when they first left, if not deeper – and now they are trained in warfare. Meanwhile, the potential collapse of the Caliphate is likely to add to their fury and desire to take revenge on Western targets. What this means is that Europe – and especially France – can expect the return of several hundred trained jihadists, all part of a wider international network. Some will be arrested at the borders. But others will slip in, unnoticed as security agencies already are overtaxed. Moreover, France also must rely on the counterterrorism measures and border protection of its neighbors, especially Belgium, which was home to many of the Nov 13 attackers. Yet Belgium is still stumbling in its own counter-terrorism efforts, despite two attacks there this year. Meantime, there are those 15,000 out there already radicalizing within France, many of whom spend time communicating on social media with soldiers still living in the Caliphate. European intelligence officials agree that as ISIS loses ground at home, it is increasing its call to radicalized Muslims still living in the West to execute attacks in their own cities and towns. In the face of this, France is now putting much of its hope into controversial de-radicalization programs, aiming to enroll 3,600 Muslim youth in such systems in two years, according to a France Local report. But even if such programs work – and it isn't yet clear they do – they remain part of an ongoing game of cat-and-mouse, unsustainable over the long-term. Should the Islamic State fall, other groups will inevitably rise up in its place. The ideologies that drive radical Islam have endured for centuries. And the revolutionary methods adopted by ISIS leaders, particularly with social media, continue to pose challenges to the West. All of which suggests that France24 journalist Wassim Nasr, speaking to the Huffington Post, had it right when he observed, "There is much to be done; it's a long run." What is clear is that if the West – and France especially – is going to protect itself from Islamic jihad in the future, it will have to find new ways to approach its Muslim youth before they radicalize, not after. But so far, no one seems even to be trying.